Have your kids ever wanted to try aerial dance? Blue Lapis Light uplifts and inspires students to reach new heights (literally). Aerial skills offer kids a great way to gain strength, flexibility and confidence. Now is the time to enroll for Children’s Summer Workshops, where kids work together to explore imaginative movements, while having a great time, too! Summer workshops costs $250/week, and you can learn more and register online here. Class will take place in Blue Lapis Light’s studio located at 10331 Old Manchaca Rd. –> Don’t want to wait ’til summer? You can also check out the Silks for Children Class held on Mondays from 4:30 – 5:30 p.m. from March 21 through April 25 for children ages 6-8. 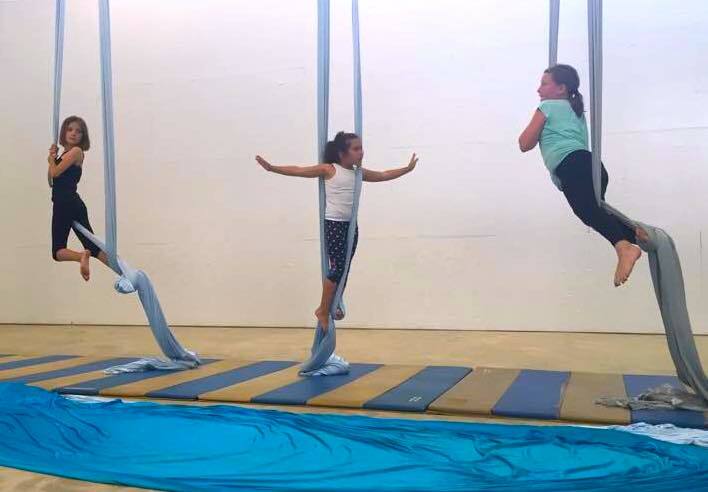 Silks for Children is a children’s aerial dance class that aims to connect to the joy of conscientious movement in the air and on the ground. This 6-week class costs $150. You can click here to register online. For more information, you can visit the Blue Lapis Light website and check out their Facebook page. If you have additional questions, please call (512)280-6688 or email info@bluelapislight.org.